Today is the fourth of April 2018 and some people are still experiencing winter like conditions. A few baseball home openers in the New York area have been postponed because of snow and cold weather. In some areas of the United States, temperatures have seemed to be more spring like over the past few days, but will dip down again over the weekend until the middle of next week. If you plan on staying indoors til then, we have some new funk for you to check out while you wait for winter to finally make it’s exit. The first of mixtapes to be reviewed comes from DJ 1Hunnit. 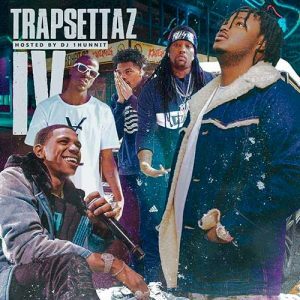 He drops off the 4th installment of the TrapSettaz free music downloads collection. 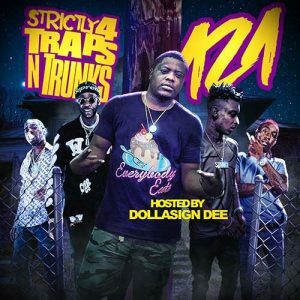 Look for new songs on this compilation by Valee, Pusha T, Scotty Music, Lil Baby, Soulja Boy, Skooly, 2 Chainz, Yolo Ru, Joe Moses, Future, Doe Boy, Q Da Fool, Gucci Mane, Bankroll Fresh, Street Money Boochie, Coogi Doogi, Don Juan, Ray Goss, and many other rap emcees. 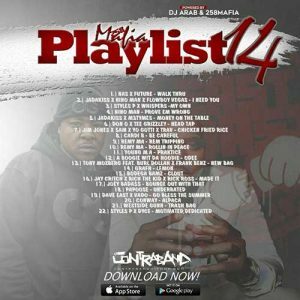 Next, DJ Arab is back on the scene with another title in the “258 Mafia Playlist“. Do not be fooled by the title, this release does not contain your usual pop hits that you would expect to find on a compilation like this. DJ Arab brings you nothing but raw and street emcee mixtapes with this franchise. Lyricists making the cut for this volume include Nas, Future, Jadakiss, Nino Man, Flowboy Vegas, M3tymes, Jim Jones, Yo Gotti, Cardi B, Young M.A., Remy Ma, Styles P, Whispers, Tony Moxberg, A Boogie, Bodega Bamz, Grafh, Papoose, Dave East, Vado, Burl Dollah, Westside Gunn, Conway, Jay Critch, Rick Ross, and many more. 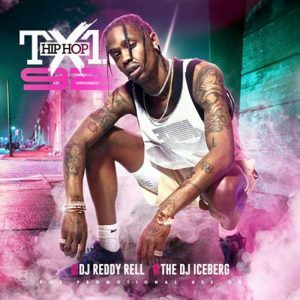 Third, DJ Iceberg and DJ Reddy Rell give the block another one of their jam packed releases, fully loaded with new songs currently in heavy rotation. These two drop off the 98th installment of the music catalog labeled “Hip Hop TXL”. Get ready for over 4 hours of music, because as always with these mixtapes, they are jammed up with funk. Artists on this release such as Ty Dolla $ign, Smokepurpp, Lil Yachty, Offset, Murda Beatz, ScHoolboy Q , Tyler The Creator, BlocBoy JB, 21 Savage, Joey Bada$$, Migos, YBN Nahmir, Gucci Mane, and a ton more of today’s performers. DJ Supreme The Great returns to the game with another release that contains 37 tracks. 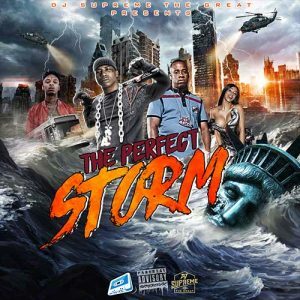 He brings out a product labeled “The Perfect Storm”. On this playlist, we have new songs from YFN Lucci, G. Herbo, Chris King, Trippie Redd, YG, Mozzy, Lil Pump, French Montana, J Balvin ,Ke Paso, OGB, Hoodrich Pablo Juan, Droop Smith, JayDaYoungan, Slim Thug, and much more. 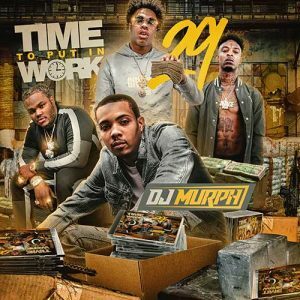 The last of the mixtapes to be reviewed in this blog post is from one the internet’s favorites, DJ Murph. He cooks up another edition of the “Time To Put In Work” series. 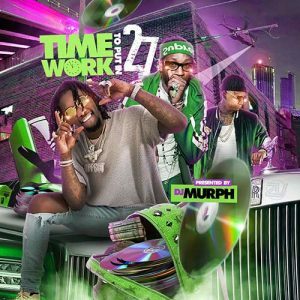 Part 29 contains tracks from rappers such as Gucci Mane, Yung Mal, BangGang Jizzle P, Tee Grizzley, Marco Green, Lil Dude, Weebay, Skip Santana, Rayza, Lil Yachty, Offset, Young Nudy, 21 Savage, LoveLifeLoui, Nook, MoneyBagg Yo, and others. Last night, Trump pulled off the biggest upset of the century by winning the presidential election. Many people were stunned at the results as Hillary Clinton was defeated. Some would say that Clinton supporters did not do their part by going out to vote. There is also talk of people leaving the country. If people are too lazy to go out and cast a simple vote, then they would be even more lazy about leaving the country. You might think that your vote may not have mattered, but in the image posted after this paragraph you will see just how close the results in some states can be. 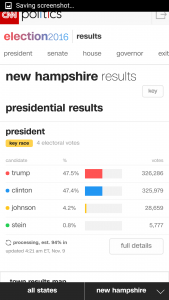 This just shows that every vote does matter. 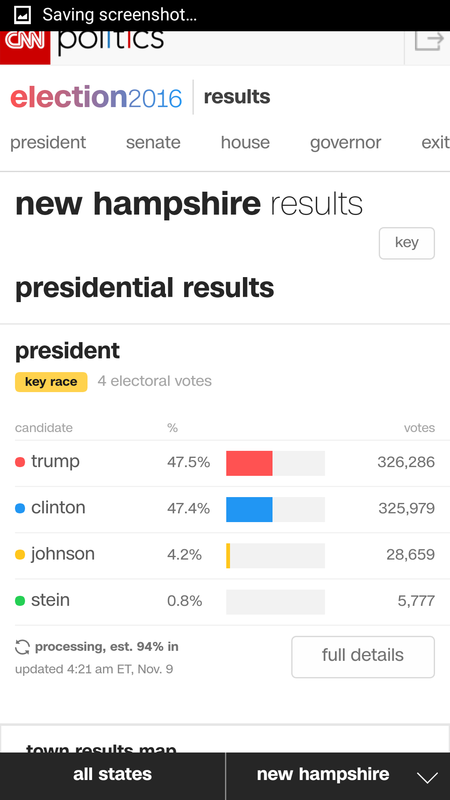 The difference between Trump and Clinton in New Hampshire was just 307 votes. Maybe with Trump coming into the presidency people can get some kind of relief with healthcare as many have expressed their frustration with the high cost of health insurance. In any case, we have more titles for you to check out while you are busy being lazy. 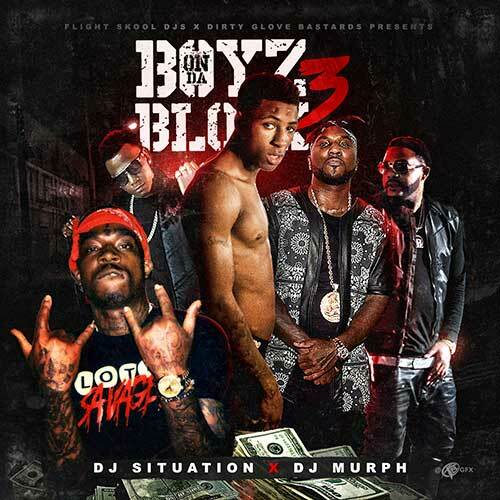 First, DJ Murph and DJ Situation team up to bring the streets part 3 in the “Boyz On Da Block” collection. 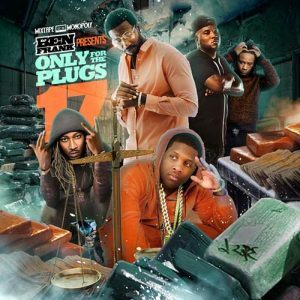 This release plays you 20 tracks by emcees such as NBA YoungBoy, Lil Lonnie, Money Man, Jeezy, Lotto Savage, Moneybagg Yo, Dae Dae, Tracy T, Drake, Future, Meek Mill, Lit BlueBlack, Payroll Giovanni, Austin Rogerz, Supa Mike, and many more. If you are looking for more music by any of the artists on this playlist, you can use the search engine on our site here. 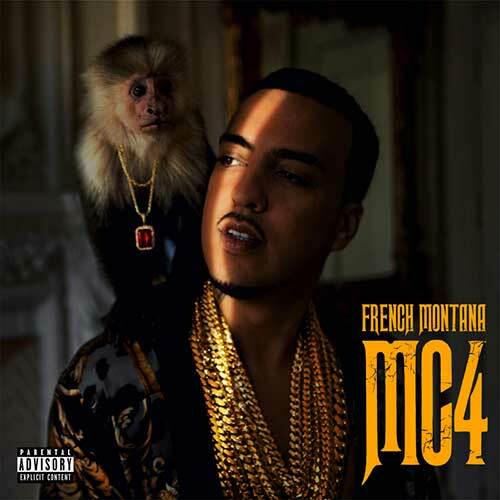 In September, French Montana’s “MC4” was leaked early due to a mishap at Target stores putting it on sale before it was supposed to be released. The date was then pushed back to sometime in October. Although many have already heard the leak, on November 5th, “Mac and Cheese 4” was released as a free download. 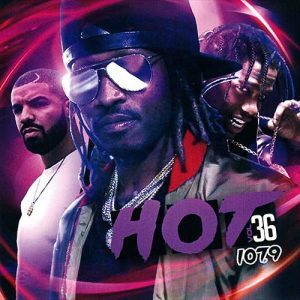 Guest features on this drop by Drake, Jeezy, A$AP Rocky, Max B, the late Chinx, Kodak Black, Miguel, Kanye West, Nas, Styles P, Jadakiss, and Beanie Sigel. Production credits on this official product include Harry Fraud, The Mekanics, Murda Beatz, DJ Khaled, Earl and E, Maaly Raw, Swift, Ben Billions, Danny Boy, The ANMLS, Rick Steel, DJ Khalil, and iLLA. That does it for this blog post informing you about some of the best titles to look out for. At least since the election is over people can stop bickering back and forth about who is better. Hopefully Trump will stand by his word and make this country great again. The 2016 Rio Olympics that were broadcast to the world from Rio de Janeiro, Brazil have come to a close. The United States took home first place with a total of 121 medals, which is almost double the amount that 2nd place Great Britain received with a total of 67. It’s safe to say the U.S.A. pretty much dominated all the other countries in the Summer Olympic Games. The same could probably also be said about the hip hop and r&b music scene. Users of the site should have noticed by now that we only carry the best mixtapes and this review points out just a few of those to check out. The Empire brings the streets part 36 in the “Hot 107.9” collection. This release brings you a playlist with the hottest music currently in rotation. 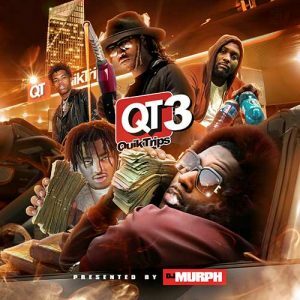 Since the radio station is based in Atlanta, GA, this drop has a southern feel to it with tracks on here by artists such as Gucci Mane, YFN Lucci, Dae Dae, Future, Young Thug, Lil Yachty, Mike Will Made-It, Bryson Tiller, Wale, Lil Wayne, 2 Chainz, Migos, Trouble, and others from the south. One thing to remember about this series of mixtapes, although they contain mainly dirty south acts, you will also notice some records on these drops by other performers from different regions and genres of the industry. Up next, DJ Seanblaze releases the 2nd installment of the r&b series labeled “One Night Stand”. This one is hosted by Cam Dolla and presented by Trak Hunta DJs. This release may be meant for fans of slow jams, but there are also rap artists on this drop. Look for tracks by G. Herbo, Master P, Lloyd, Dreezy, T-Pain, Post Malone, 21 Savage, Kodak Black, Pretty Ricky, S-8ighty, Lucci, Jaquees, Pleasure P, Ty Lindsey, Jeremih, Rayven Justice, and others. 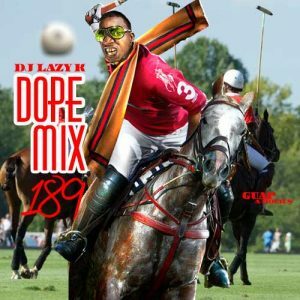 Be on the lookout for more of this DJ’s mixtapes on the site in the future. 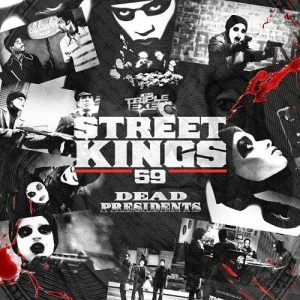 One of the best out of the U.K., DJ Triple Exe, returns to the game with the “Dead Presidents” edition of the long running franchise titled “Street Kings”. 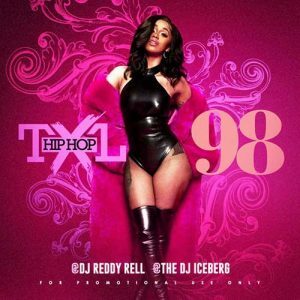 Number 59 showcases a 32 song track listing with lyrics from Jay-Z, Ty Dolla $ign, 2 Pac, Fat Joe, Jim Jones, Young M.A., Ace Hood, Rick Ross, Kodak Black, Red Cafe, Cardi B, E-40, YG, Joe Moses, Fetty Wap, Macklemore, Rich Chigga, and a gang of other emcees. If you’re looking for a fast way to browse all of this DJ’s products, use the suggested feature to browse all of his hip hop, r&b, and reggae mixtapes. 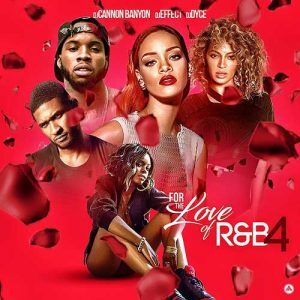 DJs Dyce, Cannon Banyon, and Effect give their audience the 4th volume of the collection labeled “For The Love Of R&B”. This drop plays you tunes by musicians such as Teyana Taylor, Tinashe, Wash, Trey Songz, Jeremih, Fetty Wap, Wale, Rihanna, Usher, Post Malone, Wizkid, Chris Brown, Tory Lanez, Janet Jackson, T-Pain, and a few other popular acts. You can always find exactly what you are looking for from these three DJs by using the site’s search engine here. The 2016 presidential election is only a few months away. 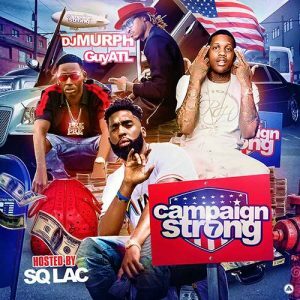 DJ Murph and GuyATL show their patriotism with another installment of the “Campaign Strong” mixtapes. 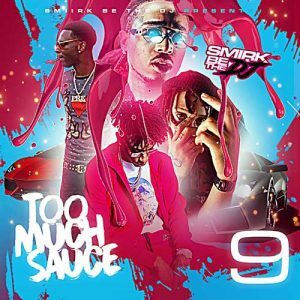 SQ Lac hosts #7 of the series with other tracks coming from Cool Amerika, Rich The Kid, Skippa Da Flippa, Lil Durk, Blac Youngsta, 21 Savage, Johnny Cinco, Quavo, Young Dolph, Gucci Mane, Travi$ Scott, Young Thug, 2 Chainz, and other southern lyrical acts. The mobile version of the site works perfect on whatever smart phone, tablet pc, or iPad that you choose to use. Just load up the mobile browser on any of those devices and type in our website address. Those of you that feel the need for an app, we do have an app coming soon that will allow for access to the official releases on the site. We will let you know when that app is available for download on the Google Play Store and Apple App Store. It appears as though temperatures are finally starting to warm up for much of the mid-west and northeast of the United States. Many people still hype up the global warming phenomenon, but after the winters that Boston has went through, citizens in that area may think otherwise. The nation is preparing for the holiday weekend and this trap edition of reviews will help you in your event planning. 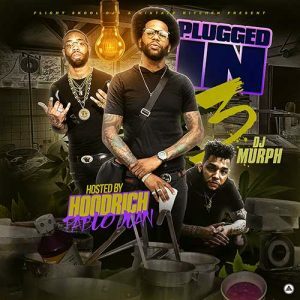 DJ Murph returns to the game with volume 3 of the “Plugged In” music session hosted by Hoodrich Pablo Juan. 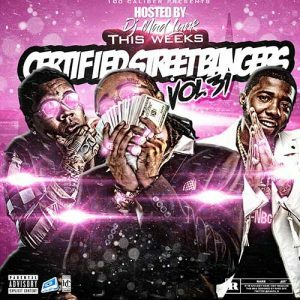 This installment contains free mp3 downloads by the host, Rich The Kid, Trouble, Young Thug, Kevin Gates, DC White, Young Scooter, Skippa Da Flippa, Trinidad Jame$, Quavo, Sonny Digital, Cody, Cizzle Money Addict, MLK, Kickstand, LodyLucci, and other emcees on this 25 song playlist. Check out other southern releases by this dj by using the “Suggested” feature located below the audio player. 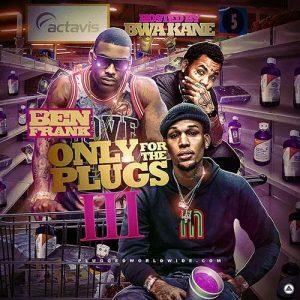 DJ Ben Frank is back with the 3rd edition of the franchise called “Only For The Plugs” hosted by B.W.A. Kane. If you’re wondering what the acronym B.W.A. means, the name is affiliated with breakout southern emcee Kevin Gates and stands for the Bread Winner Association. Part 3 in this series brings you free music downloads by the host, Rocko, O.T. 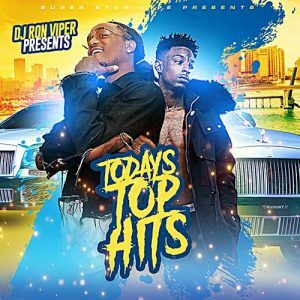 Genasis, Ca$h Out, Lil Lonnie, Joe Black, Scoop, Webbie, Lil Shaq, Yung Mazi, Famous Dex, Genius, K. Camp, Que, Young Dolph, Boobie Black, and much more. 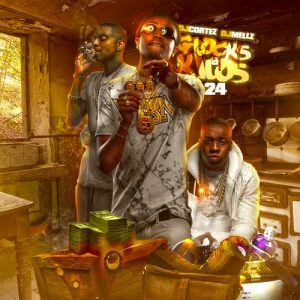 DJ Mellz and DJ Cortez give the streets #24 in the music library titled “Glocks & Kilos”. 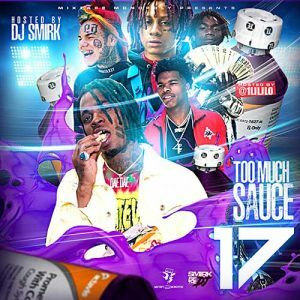 This 29-track feature plays you new songs from Parlae, Lil Mouse, Tracy T, Bricc Baby, Kid Ink, OJ Da Juiceman, Famous Dex, Lil Yachty, Maxo Kream, Young Scooter, Jose Guapo, Chief Keef, Tadoe, Tarantino, Yakki, Trill Sammie, Dice Soho, iLoveMakonnen, Yung Nudi, and other southern lyricists. Be sure to browse the site and check out all of the drops DJ Cortez has released over the past few months. DJs Suspence, Red Skull, and ASAP collaborate on the 10th installment of the “Straight Outta Trap House” music sessions. 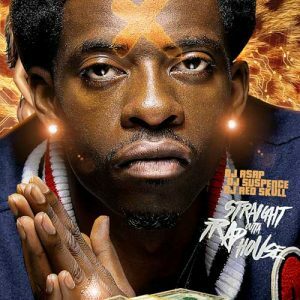 Rich Homie Quan is on the cover of this release with tracks also by Post Malone, 2 Chainz, Ace Hood, Juicy J, Wiz Khalifa, Rocko, ScHoolBoy Q, Chance The Rapper, Young Links, Kevin Gates, Birdman, Migos, Lil Dang, J Hicks, Boosie Badazz, and other popular acts. Check out the video below as 2 Chainz smokes with his doctor some of the most expensive marijuana legally obtained. 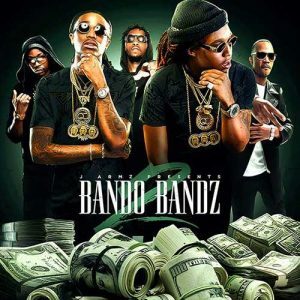 J. Armz drops part 2 of the “Bando Bandz” library. This DJ’s products don’t have the normal, radio play track listing, but the music on his releases is definitely hot. Dirty south rappers to look for on this installment include A$AP Ferg, Sonny Digital, Future, Lil Uzi Vert, Frenchie, Mannie Fresh, Juvenile, Lil Wayne, Pimp C, Mathaius Young, Big K.R.I.T., IamSu, Problem, Coca Vango, Stoneythadealer, Waka Flocka, Jus Joose, and many others. That’s all for this trap edition of music reviews. Right now, people should be preparing some sort of side dish to bring to whatever cookout they are invited to this weekend. You don’t want to be the one that shows up empty handed with no contributions for the party.